2016 marked an important milestone for Atlantic Coast Life, as it was the first year we entered the fixed annuity market with the Safe Harbor and Safe Haven multi-year guarantee (MYG) annuities. With your help, first year sales exceeded $200 million and we look forward to an even bigger 2017! As you may know, we introduced one of the first MYG annuities with a simple interest crediting strategy. For us the choice was easy; develop an annuity that allows customers to not only maximize interest by offering an innovative crediting strategy, but also give them control to choose the liquidity options, if any, that make the most sense based on their needs. The Safe Harbor simple interest plans will no longer have the optional Preferred 10% Withdrawal (10%) or Accumulated Interest Withdrawal (AIW) liquidity riders. In exchange, the crediting rates for the plans will increase by 5bps. This change continues to provide your customers with choices, however, if liquidity is not important they now have an option to earn even higher interest. For customers looking for high crediting rates and liquidity options, we will continue to offer the Safe Haven plans, which have optional liquidity riders. No changes will be made to the Safe Haven plans at this time. Please contact your marketing representative if you have questions. We sincerely appreciate your continued support and look forward to another successful year being a leader in the MYG annuity market. Click on the link below for a printable copy of this letter or to download the new rate sheet. The application packet and other product forms will be available to download from the forms portal shortly. February 28, 2017: Date applications must be signed to be able to add the AIW and 10% rider. Applications must be signed before or on February 28, 2017 to be able to add the AIW and 10% rider on the Safe Harbor Annuity. March 1, 2017: Date when changes take effect. Any application signed on or after March 1, 2017 will receive a 5 bps increase and will not be able to add the AIW or 10% rider on the Safe Harbor Annuity. March 7, 2017: Date application must be received in Home Office to be able to add the AIW and 10% rider. Applications signed before or on February 28, 2017 must be received in the Home Office by March 7, 2017 to be able to add the AIW and 10% rider on the Safe Harbor Annuity. We will accept faxed or e-mailed applications on March 7, 2017. April 17, 2017: Date 45-day rate lock ends. All transfers and exchanges for any application signed on February 28, 2017 or earlier must be completed by April 17, 2017 in order to add the AIW and 10% rider on the Safe Harbor Annuity. 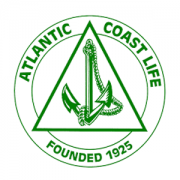 Atlantic Coast Life Insurance Company is a premier provider of life insurance, pre-need and fixed annuity products for families. The 3.10%* MYGA Interest Rate Special is Here! The MYGA 3.10%* Interest Rate Special is Here! Get more for your clients with 3.10% for 5 years! 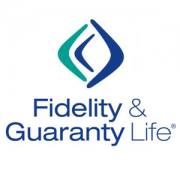 Act now – this competitive interest rate will only be offered for a limited time with FGL’s Guarantee-Platinum® 5 single premium fixed deferred annuity. Due to recent product changes, this special is NOT available in California & New Jersey. Please click below for details. You can also visit our MYGA Wiki or contact us directly at 888-661-1999 with any additional questions. *This initial interest rate is effective for new annuities issued as of February 6, 2017 for the first five contract years only. Thereafter, the company may declare at its sole discretion a new rate which could be lower. This initial rate is also subject to change at any time in the company’s sole discretion for new contracts. There is a 30 day window at the end of each five year guarantee period where your client may withdraw all or part of the annuity value without application of surrender charges or market value adjustment. A new guarantee period and surrender charge period will begin after the end of the previous ones. 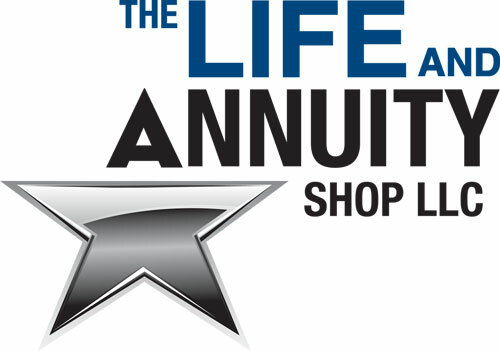 https://www.annuity1.com/wp-content/uploads/2016/04/company_fg.png 300 300 The Life and Annuity Shop https://www.annuity1.com/wp-content/uploads/2018/03/the-life-and-annuity-shop.jpg The Life and Annuity Shop2017-02-07 13:25:192017-02-08 10:54:51The 3.10%* MYGA Interest Rate Special is Here!